You’ve heard the stories of businesses losing large amount of revenue because of clients who wouldn’t or couldn’t pay. Yet you may believe that will never happen to you. But if you provide products or services on credit then at some stage it is very likely you’ll be dealing with one of these situations yourself where a customer has not paid their account. You may even be dealing that exact situation right now. Luckily there are number or proven steps to eliminate or mitigate this risk from your business so you always receive payment for services and products that you have delivered as agreed. Firstly I want to explain the steps you can take to protect yourself in advance. Then we will look at what steps to take if you currently have an outstanding account and want to know the best way to get paid in full with minimum time, stress and disruption to your business operations. When it comes to protecting your business from bad debt, prevention is always better than cure. The first step in preventing overdue accounts is to develop clear, professionally drafted and legally binding Terms of Trade. Your Terms of Trade is a legally binding contract that clearly sets out the details of your contract between you and your customer. This document is to be read and signed by both parties before beginning your business dealing and providing products or services on credit. But most importantly to protect you from clients who don’t pay on time it must explain that in the case of non-payment that all recovery cost will be paid by the customer. This may include hiring a debt collector, having a solicitor draft a letter of demand or full legal costs if necessary. Your terms should also state the amount and time period when interest on unpaid accounts will start to be charged to the customers account. It’s important that you get your Terms of Trade professionally drafted to ensure that they comply with all laws and regulations. 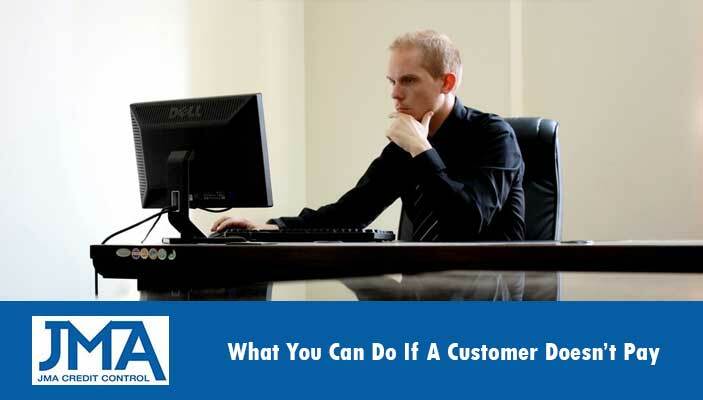 This information will help you gain a clear picture of your new customers commitment to paying debts and highlight any red flags that you may need to investigate further. Credit insurance is a practical way to gain thorough protection against bad debts. Insolvency of your customers: Which covers you in the case of customer bankruptcy, liquidation and administration etc. This gives you much greater freedom when taking on new clients, as you know that your credit insurance provider will pay you in full if your customer cannot or will not pay. It’s important that you have a reliable system for chasing up bad debts. When this inevitably occurs you don’t want to be left wondering what to do next. There are many best practices to recovering bad debts that will help you recover your debt quickly, in full and give you the best possible chance of maintaining the business relationship (if you decide you want to). Below we have provided a template you can use for developing your own debt recovery system. If it’s too late to implement preventative steps for avoiding bad debts then don’t worry, you still have options and a very good chance of recovering all or most of the outstanding debt no matter how uncompromising your customer currently appears. Contact them via phone immediately when an account becomes overdue. This should be a friendly reminder just to let them know their account is overdue, find out if there is any reason they are late with payment, and agree upon a due date when payment will be made. At this stage if payment is still not made it is recommended to contact debt collection agency that will be able to draft a legal letter of demand, follow up via phone and use their experience to quickly recover your debt. Some of the best debt collection agencies will have an in-house solicitor to draft this on a legal letterhead and some may even offer a No-Recovery, No-Fee service so you only pay their small fee if they successfully recover your debt. Hiring a debt collection agency will save you a lot of time, money and stress, whilst also giving you the best possible chance of getting paid in full without resorting to legal action. Though if necessary, reputable debt collectors such as JMA Credit Control will be able to help you will legal proceeding as well. I hope this has given your some clarity for avoiding and chasing up unpaid debts as unfortunately it is a common part of doing business. Though by following the above steps you’ll ensure your business is protected.